Dentists often recommend switching to an electric toothbrush. But how much better are they and is there any difference between the various models? Testfakta Research has tested six different models in the premium class. The results confirm the dentists’ advice, but also show that some models are far more effective than others. 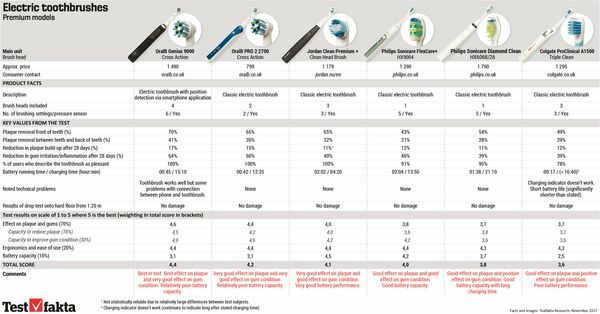 Testfakta Research has conducted a comparative laboratory test of electric toothbrushes in the premium class on behalf of manufacturer Procter & Gamble. The four brands Oral-B, Philips, Jordan and Colgate squared up against each other in an extensive test focusing on the toothbrushes’ capacity to reduce plaque and to maintain and improve the condition of the gums. The winner of the test is the Oral-B Genius 9000, which performs best in the clinical areas tested. It stands out with its smartphone app, which both monitors how the user brushes and gives instruction on how to improve the results. What effect has the app had on the outcome of the Oral-B Genius test? “Although many had technical problems with the connection between the toothbrush and their phone, the app was praised for its ease of use. When it comes to the effect on plaque and gums, the toothbrush is number one, but it’s hard to say how much of that is down to the app,” says the test supervisor at Eurofins. The French laboratory Eurofins ATS conducted the test. 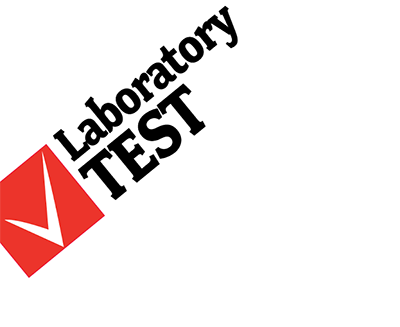 139 people aged 18–70 were selected to make up the test panel, following a thorough dental examination. The participants were split into six groups, each of which used one of the six electric toothbrushes daily over the course of a month. Before the test began, the participants had their teeth checked by a dentist to determine the level of plaque and the condition of the gums. The participants were then given detailed instructions on how to use the toothbrush during the test period. After 28 days of brushing, the level of plaque and the condition of the gums were checked again, based on standardised evaluation criteria. The teeth were stained before and after brushing so the dentist could see and assess the amount of plaque. Photo: Matthieu Colin. The outcome from the clinical part of the test is clear. “The results show that both of the toothbrushes from Oral-B have a much better effect on plaque and gums than the others in the test,” says the test supervisor at Eurofins. Its performance in the clinical areas makes the Oral-B Genius model the test winner. The model’s weakness, apart from the technical problems with the connection, is the battery life, which is quite a long way behind the toothbrushes from Philips and Jordan. All the toothbrushes in the test have a good effect on plaque and gain largely positive reviews from the panel. Aside from the poor battery performance of the Colgate, they all offer high quality and none of them have poor results in one area that drag down the total score. Looking at the study as a whole, it would appear that the dentists are right: electric toothbrushes have a clear effect on our oral health, as long as we use them as instructed. 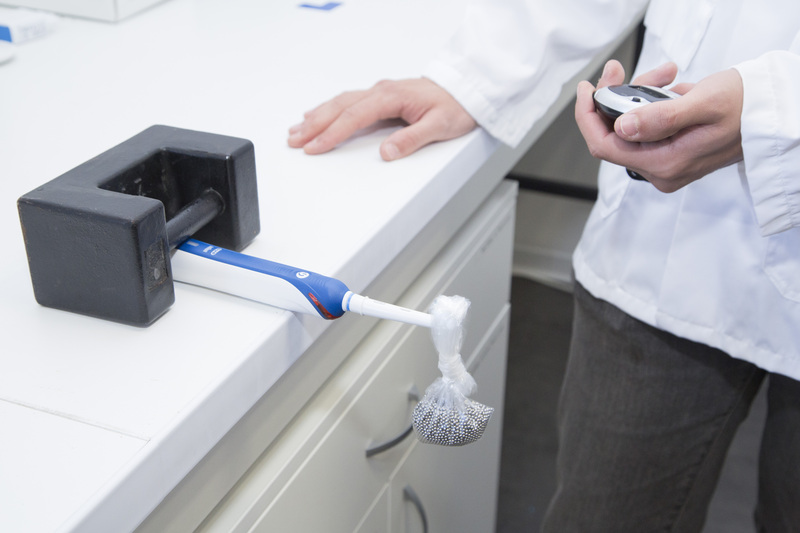 Testfakta Research has conducted a comparative laboratory test of electric toothbrushes on behalf of Oral-B. 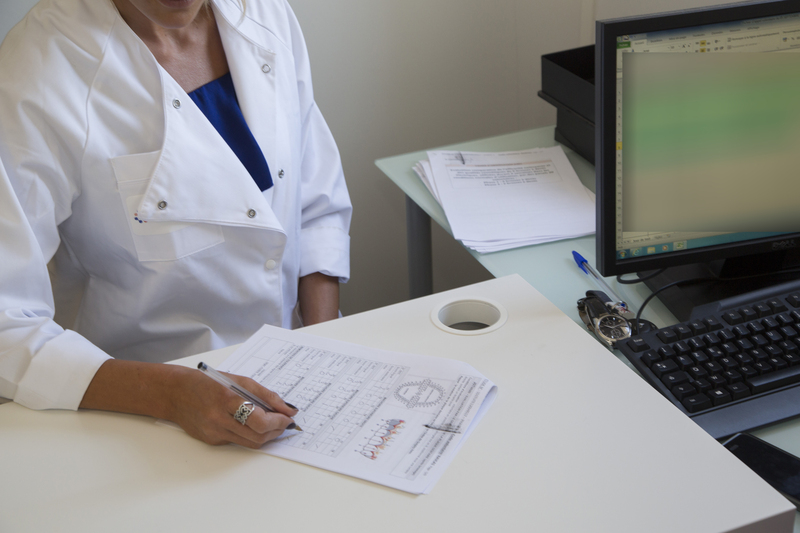 The lab test was performed by the independent French laboratory Eurofins ATS in Aix en Provence. The sample was taken from premium and mid-price products made by the biggest manufacturers in the market.